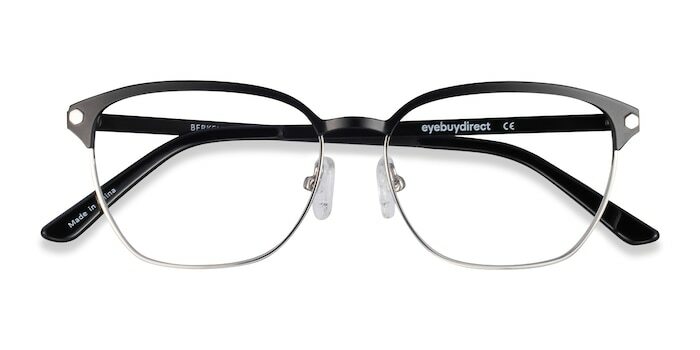 These black eyeglasses are casually stylish. 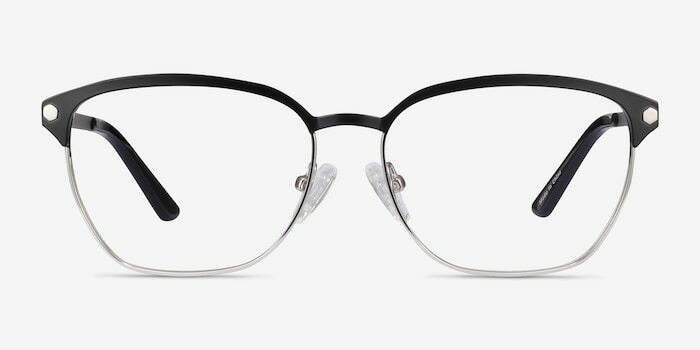 This modern design feature a bolded brow line in a matte black finish, while the lower rim is a polished silver. 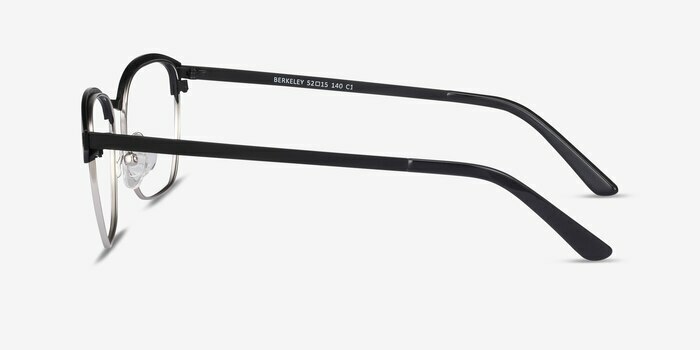 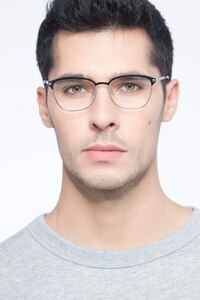 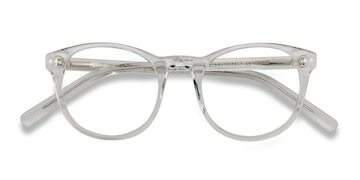 This frame is full metal and comes with rounded square shaped lenses. 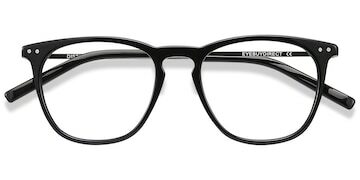 The temples are slender and end in plastic arm tips. 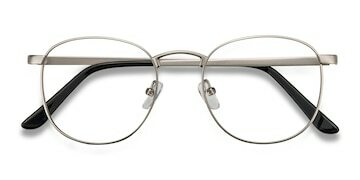 These glasses are great. A wonderful value, easy to use website, great customer service. 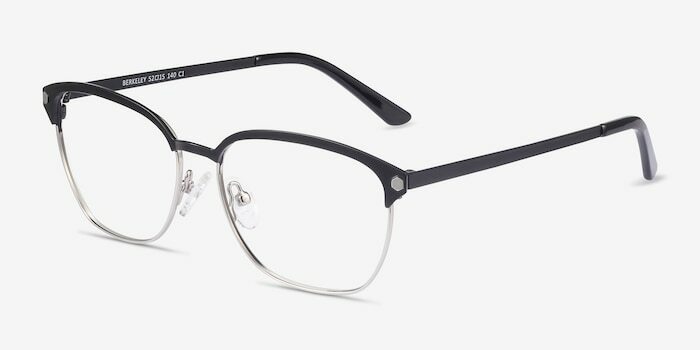 I love my new glasses I received from EyeBuyDirect! 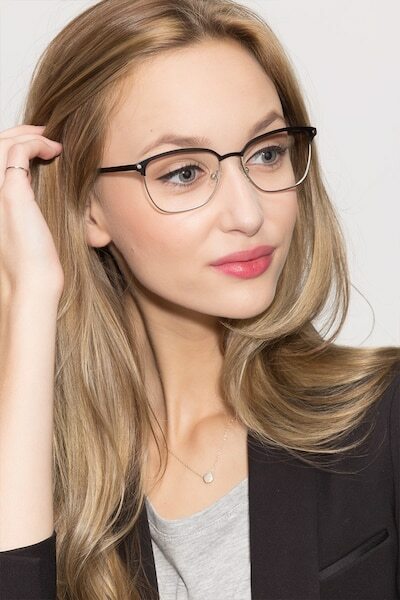 They fit perfectly, and look even better!